Most of August, I just can’t imagine turning on anything that might raise the temperatures one more degree in the house. 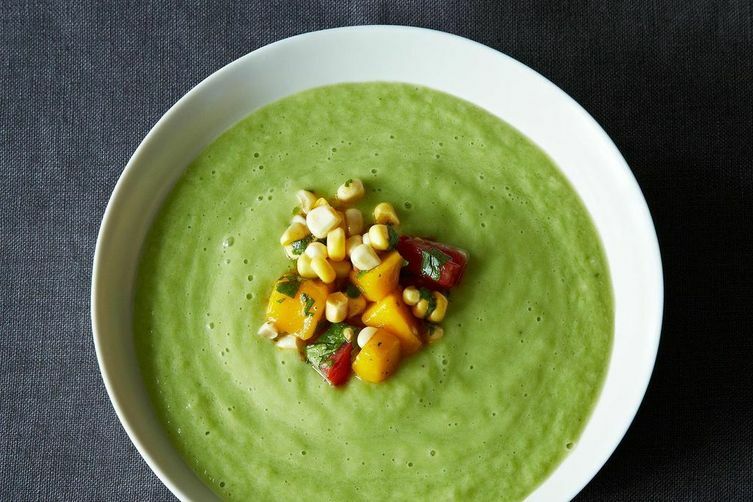 When you are experiencing one of those days you will thank me for sharing this delectable Cucumber Avocado Soup. This can be whipped up in your Vitamix, traditional blender or with an immersion blender each giving good results. Just take a look at that ingredient list—don’t you feel refreshed already?